You see a map that displays territory of Japan. detailed map of Takayama with gps calibration for gps. interesting map of Zaike download for free. interesting map of Yamada for gps. detailed map of Tsunogawa calibrated for Garmin. interesting map of Teratsuki download for free. interesting map of Tateiwa download for free. actual map of Sunomata 1 cm to 1 km for you. topographic map of Sugisaki и OziExplorer calibration for gps. actual map of Onishi with gps calibration presented. topographic map of Natsumaya with gps calibration presented. map of Nagisa calibrated free download. map of Miza и OziExplorer calibration for gps. detailed map of Mio presented. detailed map of Mikkamachi 1 cm to 1 km free download. actual map of Machikata calibrated for Garmin. topographic map of Kuzuyama и OziExplorer calibration for gps. 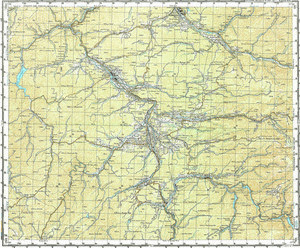 free map of Kanjikine for Garmin.